Be the very first to own one of these new homes in Chapel Hill below! Nicknamed “The Southern Part of Heaven,” Chapel Hill is an idyllic community that incorporates the best parts of city life with a small town feel. The vibrant culture, high employment rate, and reputation as one of the most livable cities in the area makes Chapel Hill the obvious choice for new developments and homebuyers alike. New homes in Chapel Hill are constructed with quality in mind, to appeal to the discerning North Carolina homebuyer. Browse the all of the current listings below or continue reading to learn more new construction homes in Chapel Hill and the burgeoning communities they belong to. Choosing a Chapel Hill new construction is a smart choice for many homebuyers. 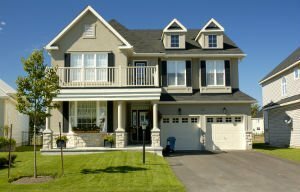 As the original owner of a home, you won’t worry about choices the previous owners made or have to change any integral portion of the property to make it your own. New construction homes often give homeowners options when it comes to things such as appliances, flooring, wall colors, and more. For many homeowners, these features are important, and having them in place before taking possession of the property reduces headaches in the future. As a modern community with young, dynamic homebuyers, new homes in Chapel Hill real estate are a smart option for buyers looking for a high-quality home at a great value. By recognizing the need for new, quality homes, Chapel Hill developers are filling a niche in the market. With great attention to detail, developers are able to create gorgeous homes with great value. If you’re looking for a quality custom home that will complement your lifestyle, look no further than the new home developments in Chapel Hill. Do you dream of a brand new home? The My NC Homes team can help you find the perfect new construction home to match your preferences and budget. Get in touch with them now by sending them a message or giving them a call at 919.659.5173 to learn more.